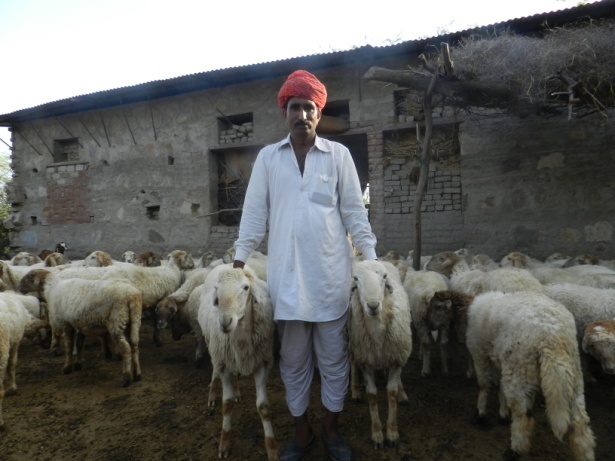 Sathyanarayan Gurjar, a sheep breeder of village Amli, Tehsil Malpura, Dist Tonk Rajasthan, has become a burning example for farmers and youth of arid and semi-arid regions for aspiring and achieving socio-economic development through adopting improved practices in sheep rearing. Earlier, in his joint family of 14 members, sheep husbandry was an ancestral occupation and it was practiced in the most traditional manner. As a child he witnessed severe mortality in his flock as well as flocks of others in his and nearby villages. He has faced heavy losses due to dreadful diseases like Enterotoxaemia , Sheep Pox, Peste des Petits Ruminants (PPR) and Foot & Mouth Disease (FMD). He was such a man who looks around for latest information that may improve survivability and health of his flock. With such a hope in his mind, he met extension scientists of CSWRI, Avikanagar. On their recommendations, he started adopting scientific practices like health care (regular and timely vaccination, deworming etc. ), breed improvement through use of elite malpura ram & selling out non-descriptive animals, nutritional management (flushing of ewes before breeding; supplementation during late gestation and early lactation, feeding of weaned lambs) and estrus synchronization and artificial insemination for producing extra lambs. Annual mortality has been brought down from earlier 20 percent in 1990 to around 7 percent at present in his flock. Achieved three lambing crops in two years in his flock. Supplementing lambs from third month to sixth month of age resulted in higher body weight which fetched him Rs. 1000.00 higher per lamb. 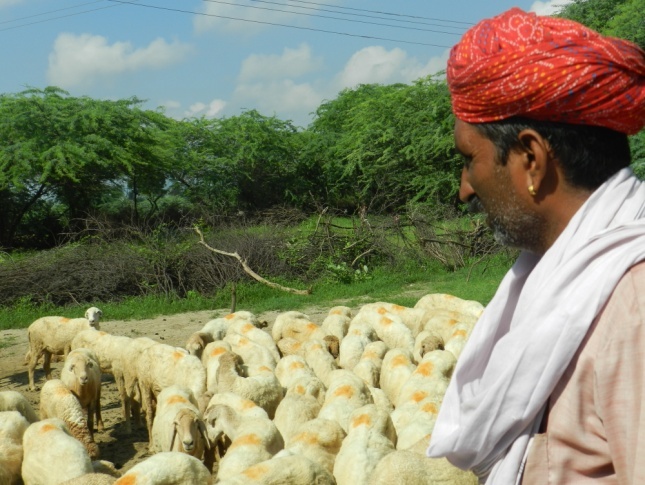 Earned 1.5 lakh rupees per year by sale of lambs, male huggets and old females from his flock of 100 sheep. Additional income from sheep rearing was used for education of his children, purchase of agricultural land, motorcycle, mobile, television, DTH connection, construction of house and agricultural implements like tractor, trolly, cultivators etc. He is one amongst those twenty one farmers from all over India who has been awarded prestigious Breed Saviour Awards, 2013 by Sustainable Agriculture & Environment Voluntary Action (SEVA) organisation, Madurai, Tamil Nadu in association with National Bureau of Animal Genetic Resources, Karnal. The prize was conferred for conserving native malpura sheep breed. Summing up, he tells in his own words, “I owe to sheep rearing for whatever I am now”.